We await your arrival and look forward to having you join our learning community at AISN. When you tell people that you are moving to Mauritania, their likely response will be, “Where?” or “I’ve always wanted to visit Mauritius.” In fact, when mailing boxes to Mauritania it is important to include West Africa after the country to ensure that your box does not end up in the Indian Ocean! Mauritania is in West Africa and is the 11th largest country in Africa. It shares borders with Mali in the South and South East, Senegal in the South, Morocco and Algeria in the North. The country encompasses 400,385 square miles (1,037,000 square kilometers), more than three quarters of which is made up of the Sahara Desert. The remaining portion lies along the Senegal River Valley in the South and South East. Mauritania has a total population of about 3.5 million people consisting of 4 main ethnic groups: Moors (white and black from Arab origins), Pulaar, Wolof, and Soninke (black from African origins). Mauritania is a Muslim country. People dress in both the traditional Muslim and western clothes. Foreigners can typically wear their normal western clothing, yet it is good to keep in mind that it is a conservative society when choosing attire to wear. The physical conditions of Mauritania are extreme: the sun, the desert, the heat, the rain, the wind…. but they all come together to create an incredible landscape. The climate is hot during the summer, July-October, and mild November-June. The rainy season ranges from July – October. Every year tourists come from Europe to visit Mauritania for the beauty of its desert, the bird parks and ancient cities. The capital city, Nouakchott, is on the coast of the Atlantic Ocean . The population in Nouakchott is a real melting pot. Many people have settled in Mauritania as result of civil unrest in their countries. You’ll meet people from Sierra Leone, Liberia, Ivory Coast, Ghana, Mali and Senegal to name a few. In Nouakchott, cars share the road with donkey carts and wandering goats and sheep. People spend their weekends playing on the endless beaches or exploring the never-ending dunes of golden sand. Inside Nouakchott, the city center is active with entertaining market activities going on, mainly in the early hours of the day. The Cinquième district is an even more original market, where everything from fresh produce, plastic shoes, yard goods, and cooking pots to porcupine quills, rock salt, and handicrafts can be seen or bought. Other markets offer traditional crafts – such as crafted wooden boxes, silver jewelry, leather products, baskets, tablecloths, purses, pillows, camel hair rugs, tents, fine straw mats and unique fabric for clothing. Products unique to Mauritania include brass hand-washing pots, wooden boxes with expensive silver inlay, huge colorfully decorated nomadic tents, camel rugs, tea pots, silver, and colorfully painted leather cushions. A variety of restaurants offer diverse cuisines from Mauritanian, Senegalese, Lebanese, to Chinese, Italian, Cameroonian, Tunisian and Moroccan. There are also big supermarkets, where each year their selection increases with some markets importing European and American products. The Moroccan Mosque market remains the best place to shop for fresh fruits and vegetables. A variety of cheap produce grown in Mauritania and Morocco is available. The waters off of Mauritania are some of the most plentiful fishing grounds on the planet. The fish market is the place to go for the day’s catch. The best time to visit, whether to buy fish or just to watch the activity, is an hour before sundown when the fishing pirogues are returning. 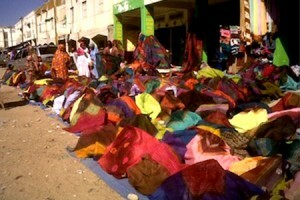 There are opportunities for travel out of Nouakchott, although the price of airfare is not always cheap. There are daily planes going and coming from Europe and other African countries. Popular destinations for teachers and foreign families include Senegal, Morocco and the Canary Islands. Akjoujt – About 3 hours from Nouakchott, Akjoujt is the site of a former copper mining industry. Atar – 4 hours from Akjoujt, Atarwas one of the ancient capitals of the Almoravid Kingdom and a caravan base for trans-Saharan salt trade. Chinguetti – About 120 km east of Ata this is the seventh holy city of Islam. Some of its houses and mosques date back to the 13th century. Nouadhibou – A fishing and commercial port as well as the terminus of the railroad from the iron mines.Located north of Nouakchott. Kiffa – An interesting change of scenery 600 km east of Nouakchott. With oases and escarpments, Kiffa is an important regional trading center. Aioun – About 3 hours east of Kiffa where you’ll findhouses made of beautiful blocks of local stone. The area to the south has interesting formations reminiscent of the American southwest. Keur-Massene – A large hunting and fishing encampment located in the delta area of the Senegal River near a bird refuge with 160,000 hectares of land. Banc d’Arguin – A wild area of birds along the sea in unusually beautiful settings, plus big sea turtles and other huge fish swimming around the rocks at the foot of cliffs. Atar – Chinguetti – Oudane – To the north enjoy dunes, mountain cliffs, oasis, historical towns, palm trees, ancient fortresses, caravan centers, and nomads. The history of Mauritania dates back to 3rd century AD. Between 1644 and 1674, the Berbers made their final effort to resist the Beni Hassan tribes and Maqil Arab invaders in what was later called the Mauritanian Thirty-Year War. Mauritania became a colony of French in 1860 and remained one till 1960. The Moorish past gives the society a thriving culture in music. History shows that the Moorish musicians were so popular that they were regularly summoned to perform at the houses of lords. A majority of the population of Mauritania depends on farming and animals for a livelihood. The lowest point in Mauritania is 5 meters of 16.4 meets below sea level. The highest point in Mauritania is Mount Ijill that extends to a height of 915 meters. Apart from iron ore, Mauritania’s other natural resources include gold, gypsum, phosphate, diamonds, copper, and oil. The most striking geological feature in Mauritania is what some refer to as “The Eye of Africa.” It is actually a Richat structure in west-central Mauritania near Oudane and looks like an enormous bull’s eye from a distance. The feature has a diameter of about 50 km which translated to about 30 miles and is believed to be formed due to the simultaneous lifting of the underlying geology. The majority of the population is located in cities like Nouakchott and Nouadhibou and also along the banks of the Senegal River. Majority of Mauritanians belong to the Sunni sect of Islam. Nearly 70% of the country is a desert which is growing as a result of frequent droughts. The country is divided into 12 regions and has its capital district in Nouakchott. Rock paintings found in Mauritania indicate that the region could have been inhabited by animals like giraffes and other such grazing animals. The coastline of Mauritania offers excellent opportunities for those who wish to explore the beach, surf, swim or fish. Bird Watching and Natural Observation: Compact binoculars are reasonably priced in the States, but nearly impossible to find in Mauritania. Good books on natural history are hard to come by in Mauritania, so be sure to bring a few along with you. Birds of Africa andMammals of Africa are two great selections. Leatherwork: Leatherwork is a popular hobby in Mauritania. It is easy to get your hands on more traditional tools, but if you are trying leatherwork for the first time, they can be more difficult to use. When in doubt, buy and bring a leather sewing tool from the states. Art (Painting, drawing, sculpting): Art supplies can be expensive and hard to find, so we recommend bringing your own and then supplementing with the abundance of local, natural materials available in the area. Music: Musical instruments are a great way to spend time while in Mauritania. Be sure to pack extra reeds, strings or other necessary pieces. NOTE: Please consider the potential damage the climate may have on instruments before bringing them along. Insect Collecting: West Africa is home to an array of exciting insects that are easy to collect and preserve. Any field guide book will give you all the details on how to start a collection. 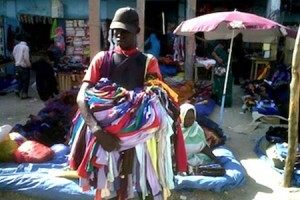 Designing and Making Clothes: You’ll love the variety of high quality fabric available in Mauritania. There are sure to be colors and patterns like you’ve never seen before. Camping: There are many wonderful places to camp in Mauritania and the surrounding countries. You may want to consider bringing an ultra-light, portable tent, mosquito net, and a plastic tarp. 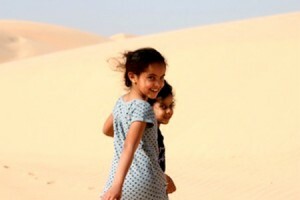 Photography: Mauritania’s natural beauty makes for magnificent photos. Stargazing: With minimal city night light in Mauritania, you’ll have the chance for some spectacular stargazing. Located closer to the equator than most parts of North America, stars and constellations are a vivid part of the night life here.